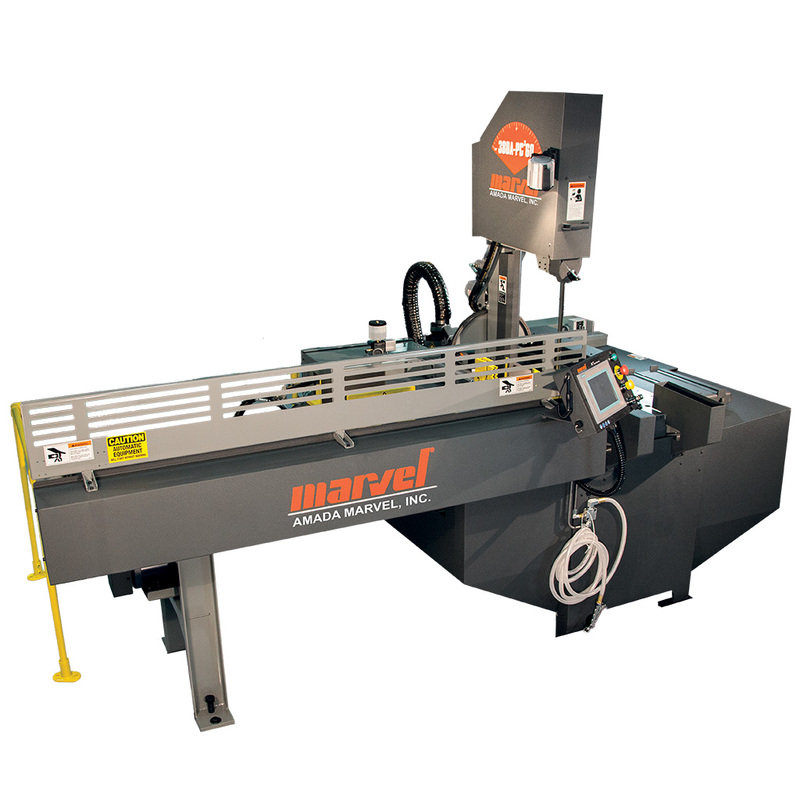 Feed Force: 0 – 300 Lbs. Accessory Skid Weight: 400 Lbs. 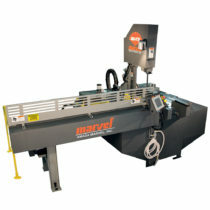 Equipped with: Variable Vise Pressure Control, Work-Lift Roller on Entry Side of Machine Bed, Second Machine Vise – Complete, Hydraulic Hold-Down – Machine; Hydraulic Hold-Down – Shuttle, Manual (Hand Crank) Chip Conveyor, Mist Lube – Automatic, Smart Guide Arm, Servo Bar Feed with Bullet Nose Cutting and Manual.